Josiah K. Lilly III (1916-1995), heir to a pharmaceutical fortune, and his wife Josephine M. Lilly (1921-1986) opened the Heritage automobile museum in 1969. 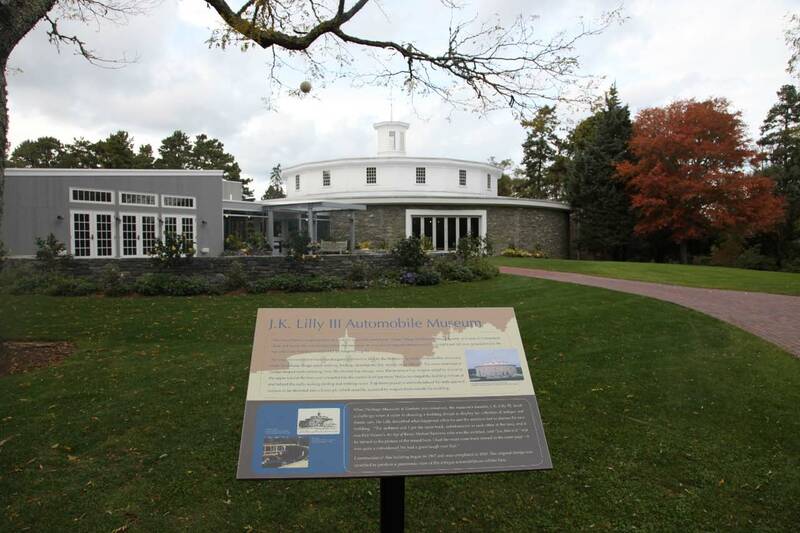 The Lillys began collecting antique automobiles in 1964, and after acquiring some of his father's collections in 1966, they began the plans for the museum. 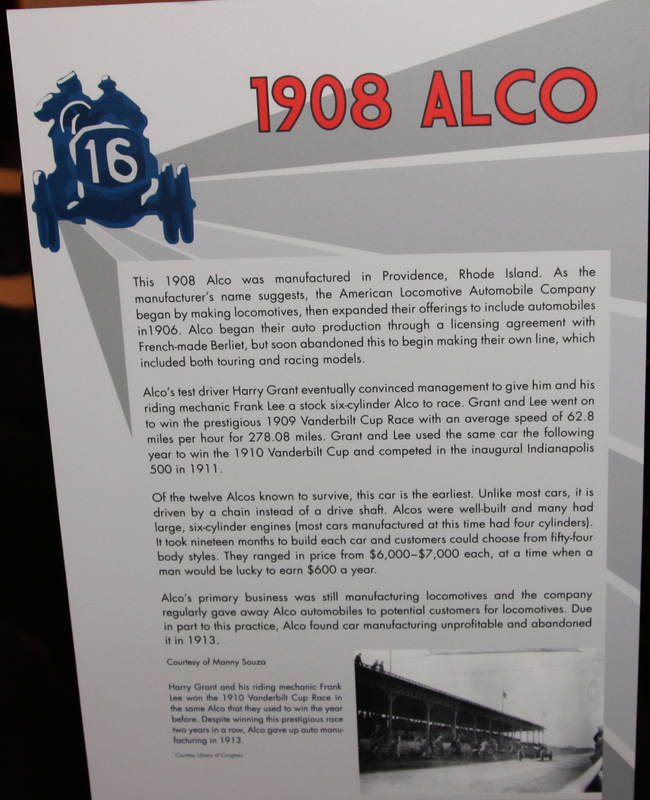 Among the three cars on loan for the American Speed exhibit is Manny Sousa's beautiful 1908 Alco Touring Car. "Of the twelve Alcos known to survive, this car is the earliest." 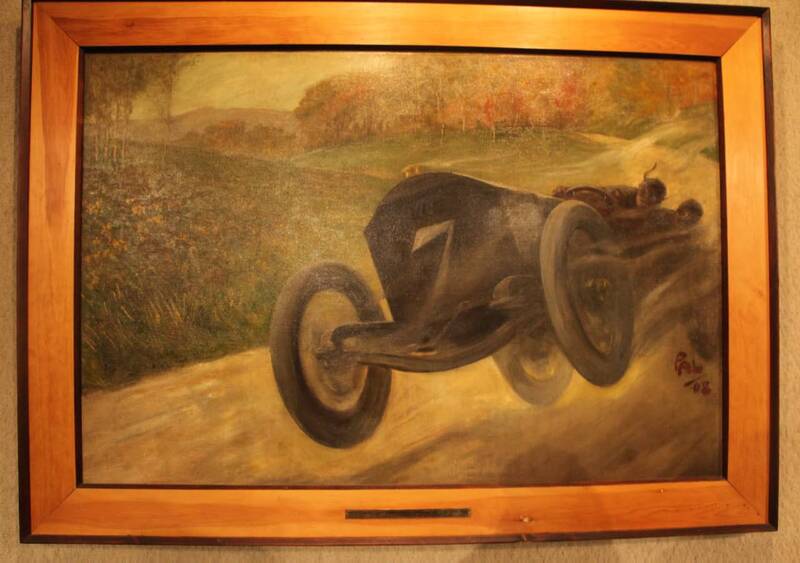 Hanging on the wall behind the Alco is the original oil painting by artist PAL used to create the official poster for the 1908 Vanderbilt Cup Race. The painting was purchased by Mr. Lilly specifically for the opening of the museum. 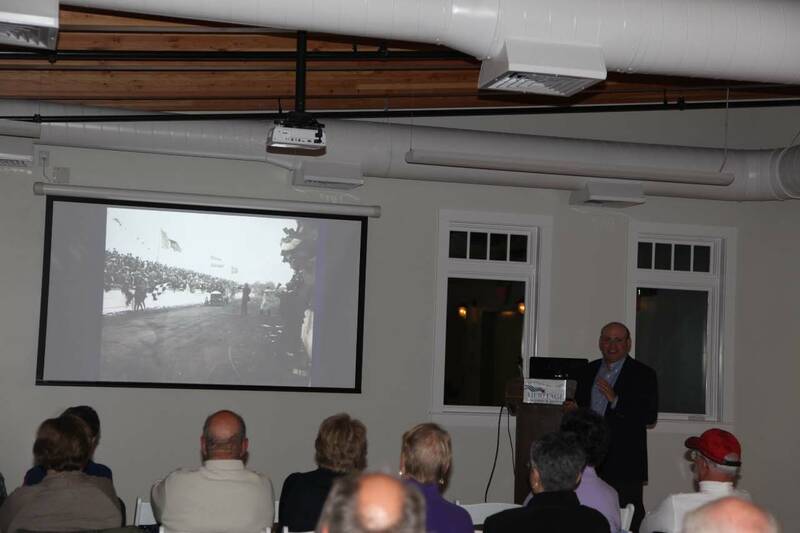 My presentation "The Incredible Vanderbilt Cup Races of Long Island" at the museum was well-received by an enthusiastic crowd including; Manny Sousa, owner of the 1908 Alco, and the granddaughter of race car driver Fred Marriott who set the land speed record in a Stanley Steamer in 1906. 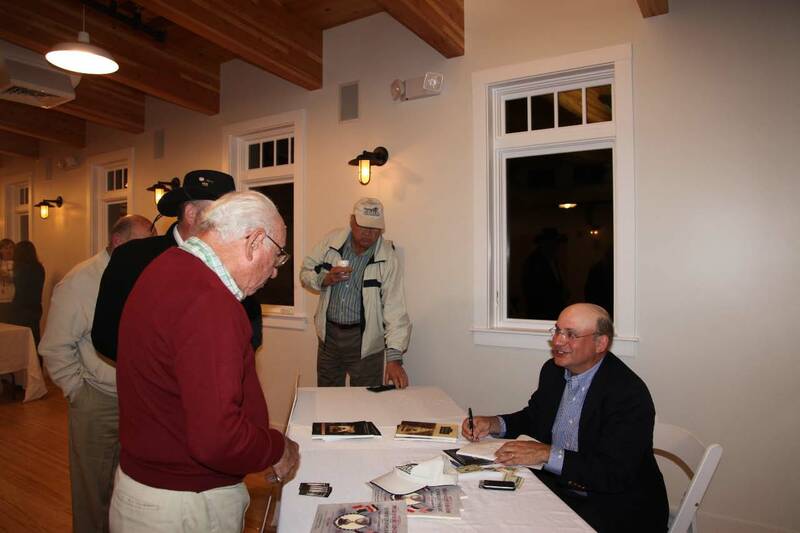 The presentation and the book-signing generated over $350 in contributions for Child Abuse Prevention Services and the Wounded Warrior Project. 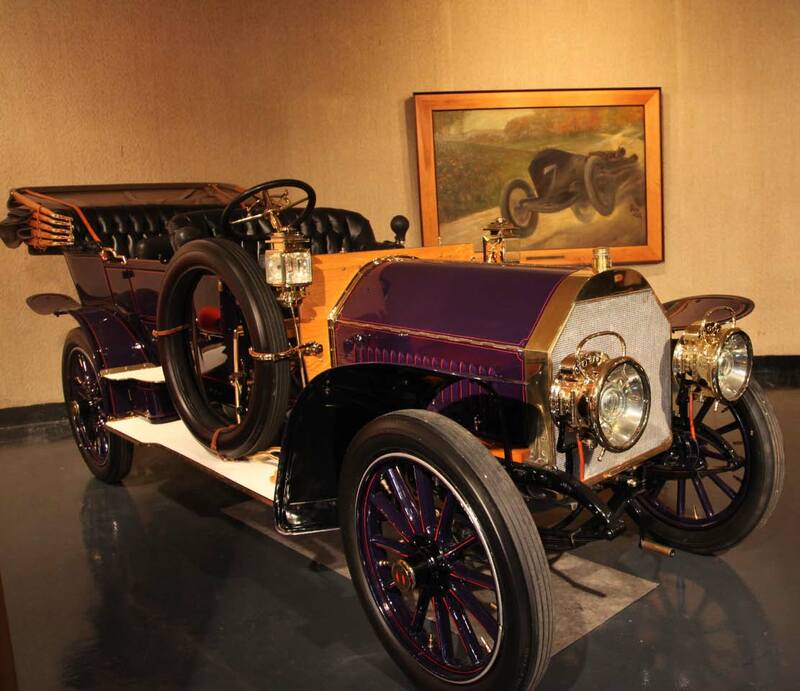 The J.K. Lilly III Automobile Collection was the best private collection of vintage cars that I have ever seen and is highly recommended when you visit Cape Cod. I will be identifying some of the Lilly cars in future posts. Thanks for your kind words Howard. We enjoyed having you!